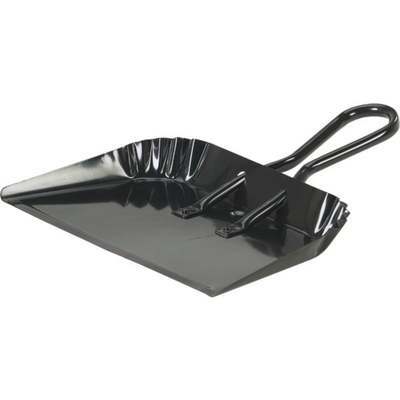 Jumbo black metal dust pan. Rugged metal construction, 16" width and 9" handle. This dust pan will lay flat on floors for easy debris pickup from angle broom, corn broom, or push broom.